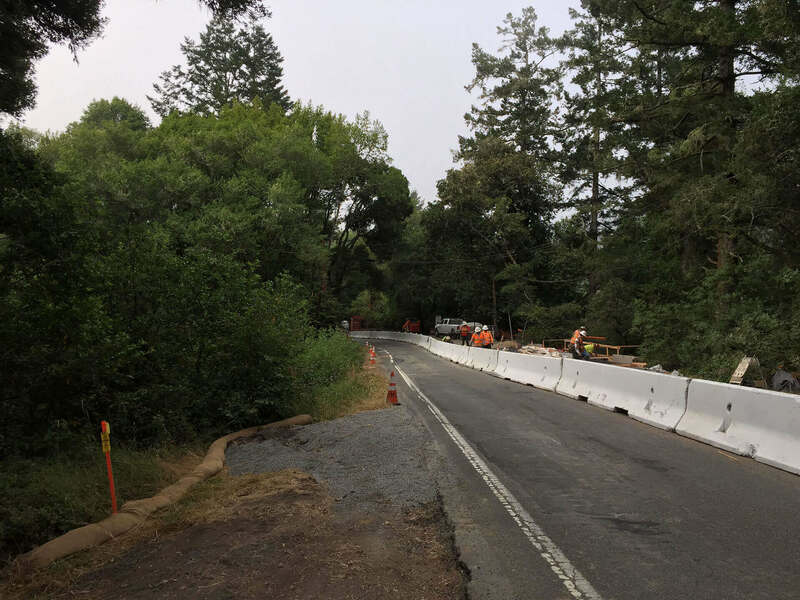 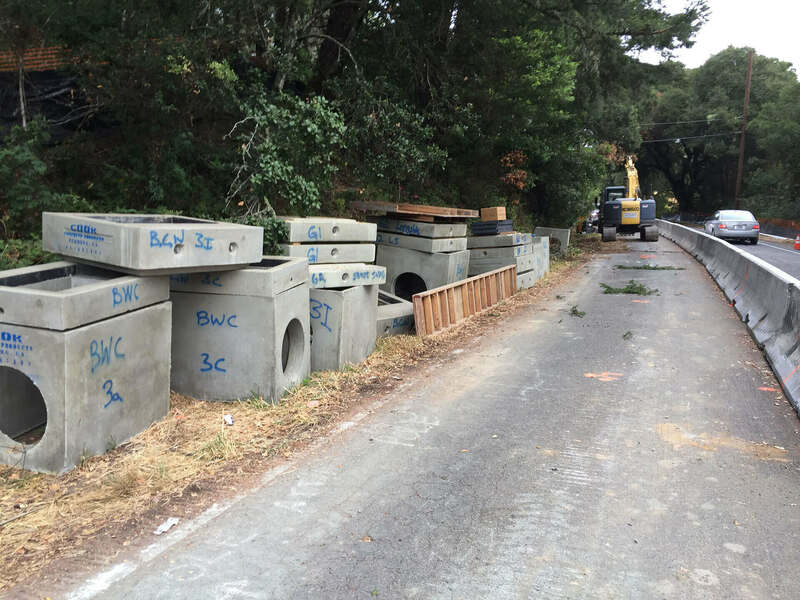 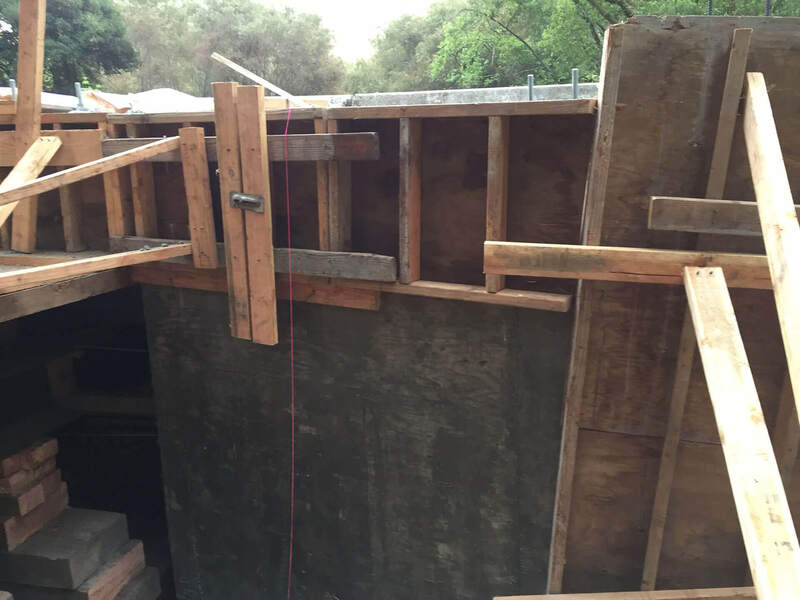 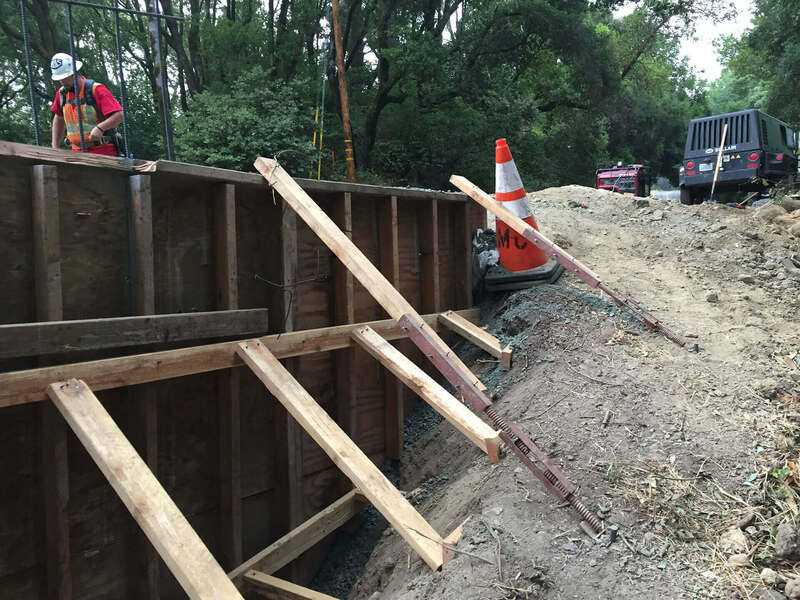 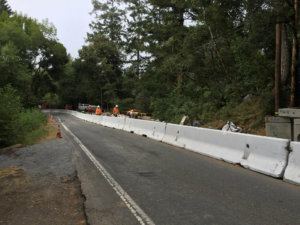 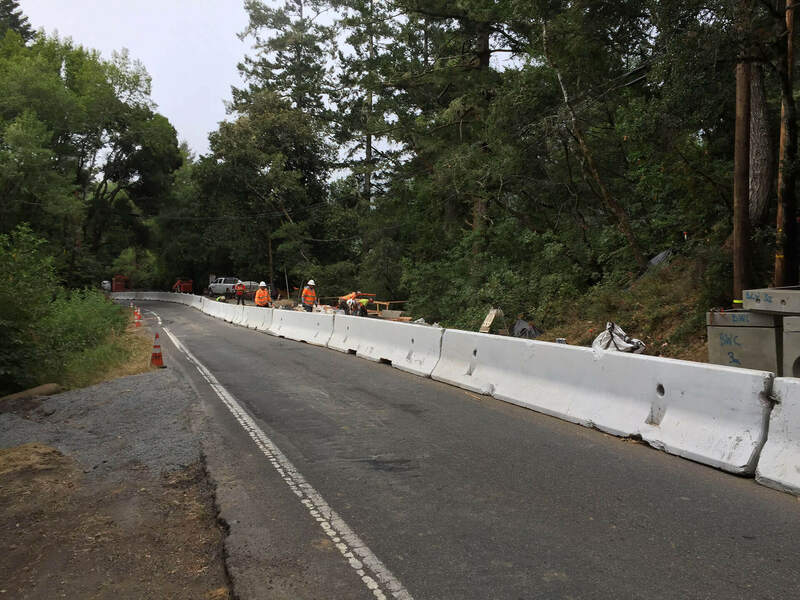 This project, in Olema, CA, consists of replacing existing culverts with a 36’ reinforced concrete slab bridge. 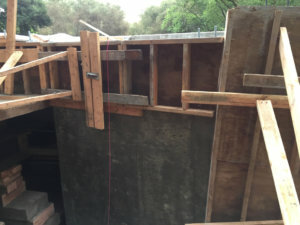 The work is in a highly sensitive environmental area which makes the available staging area very constricted. 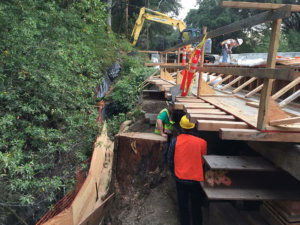 The work will be done in 70 working days and consists of a temporary signal for traffic control, CIDH piling, soil nails, shotcrete, roadway excavation, bridge construction and ST-70 rail construction.